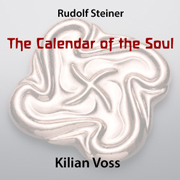 Rudolf Steiner's Calendar of the Soul was first published in Berlin in 1912. "The course of the year has its own life which the human soul can accompany and take part in ... Thus one becomes aware of the delicate but vital threads that unite the soul with the world into which it was born." R. Steiner: Preface for the second edition 1918. Nowadays, numerous translations into many languages allow us to comprehend the content of Steiner's verses, but conceal the rhythm and sounds of the original. I have therefore recorded all 52 verses, spoken by myself in the original German. I am making the recordings available in the form of 52 mp3 files, which you can add to your music library (e.g. iTunes) and play through any mp3 player. Please note: The recordings are to be used only for your own personal enjoyment, no broadcasting, performance or distribution via electronic media ! Upon receipt of your payment, I will e-mail you the files in 4 packages. Download of each package takes only a few minutes.